Join us for the final summer concert on Saturday, July 14 at 1pm. Jack and Kitty are an Emmy award-winning duo and will entertain with a variety of instruments: guitar, jug, wizbang, washboard and more. The duo performs nationwide and are known for their “Organic Vaudeville and Jug Band Folk” music. 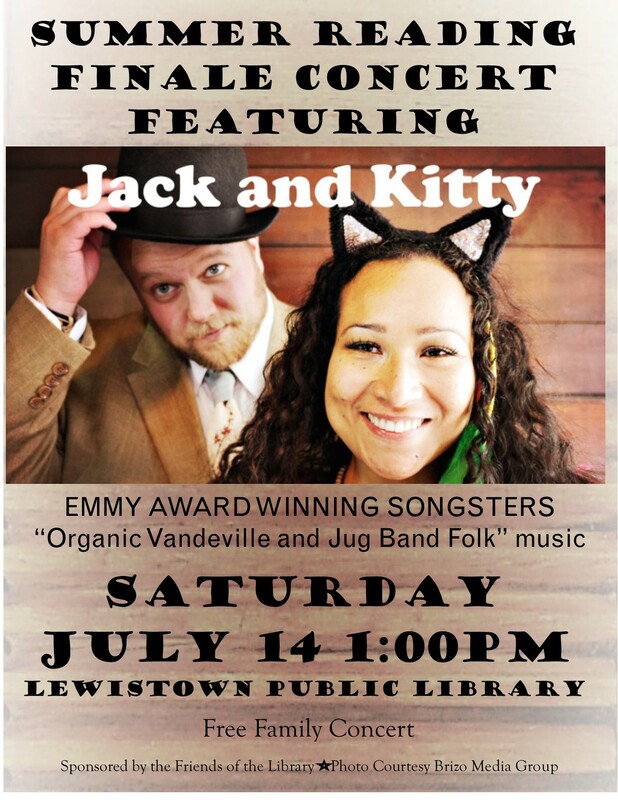 The Jack and Kitty concert is a free public event sponsored by the Friends of the Lewistown Public Library.